 James Cahill was rescued on July 10th 2016 after a fall on Bothar na Gíge, while descending from Carrauntoohil. 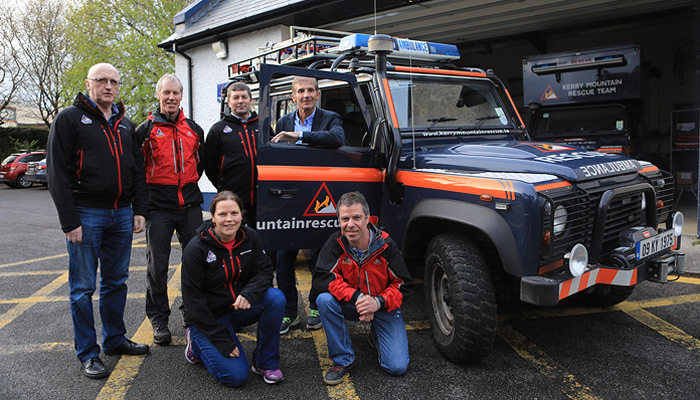 He has kindly organised a walk on June 10th in Muckross to raise funds for the team and we wish him all the best with his continued recovery. 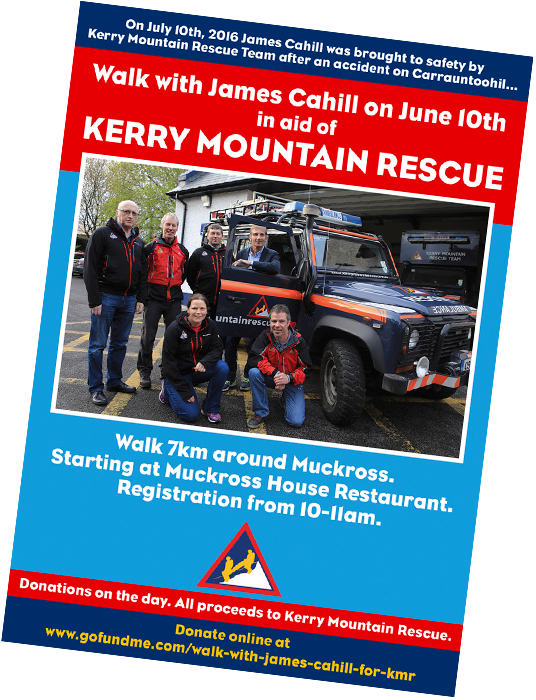 The 8-10km walk with James will take place in the Muckross area of Killarney National Park, on June 10th, at 11am. There will be a bucket collection and people who don’t feel like walking can enjoy tea in the Muckross Garden Restaurant.